The leaders of Aberdeenshire Council have called on more cash-raising powers to be passed to Woodhill House. Proposals by Aberdeenshire Council could result in a number of regular door-to-door busses withdrawn. The services are aimed at people who cannot otherwise get public transport. The service between Echt and Banchory would be cancelled, as well as a route that covers Durris, Drumoak, Crathes and Banchory, although another service is being expanded to cover that route. A further service, between Braemar and Banchory, will also be withdrawn under the proposals, but the council hopes non-profit organisation Ballater Royal Deeside Ltd (BRD), will step in to provide a replacement service. 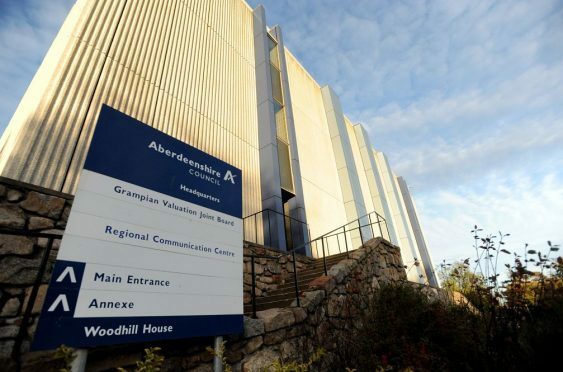 A spokesman for Aberdeenshire Council said: “These proposals simply reflect the level of use of this on-demand service – where demand is higher than capacity we are increasing capacity and where it is low we are reducing the services offered to make best use of resources. “The council provides funding for Ballater Royal Deeside Ltd’s community minibus and has contacted them about making greater use of this for social purposes in the Braemar and Ballater areas, to assist those who use the A2B service. Ballater Royal Deeside Ltd chairman John Burrows said: “In an ideal world we’d love to provide this sort of service. Mr Burrows said the group had recently replaced its bus, potentially widening its pool of drivers. He added: “We have four regular drivers and two to fall back on if required.